When our first was born, one of the things Bo talked about was taking him to the circus. 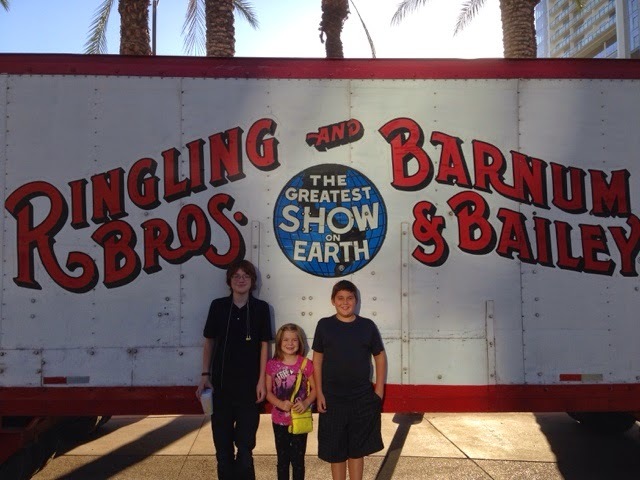 We have been so fortunate the last few years to see the Ringling Bros. and Barnum & Bailey circus when it comes through Phoenix every summer. 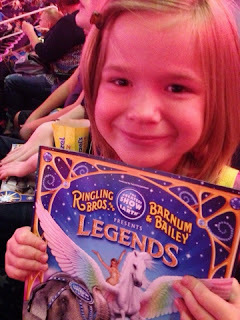 We attended opening night tonight for their Legends show tonight, and thoroughly enjoyed ourselves! The show was exciting and the performers flawless! Nate absolutely loves the motorcycles that drive around in the metal globe, so he was excited to see that they were in the show again this year. 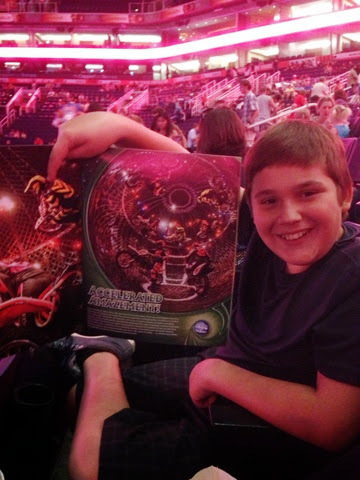 He also spent a lot of time chuckling at the clowns. They sure do a great job of keeping your attention and amusement while crews set up other areas of the stage! You still have time to get tickets! The show will be in Phoenix through Sunday, and you can check out this post for details on times and how to buy tickets.